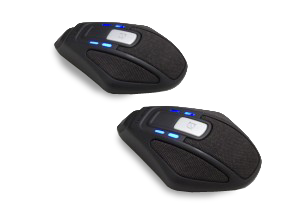 This pair of Snom Expansion Microphones are for the Snom MeetingPoint Conference Phone. The pair will increase the range from 30 to 70 square metres (up to 750 sq ft). Connects to the Snom MeetingPoint with enclosed cables, 1.5 or 2.5 metres.